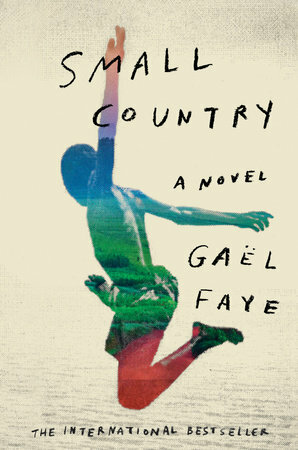 The following is from Gaël Faye's debut novel, Small Country. Faye is an author, songwriter and hip-hop artist who released his first solo album, Pili Pili sur un croissant au beurre, in 2013. Small Country, a bestseller in France, has been awarded numerous literary prizes, among them the Prix Goncourt des Lycéens. It was a typical morning. The cockerel was crowing. The dog was scratching behind his ear. The aroma of coffee wafted through the house. The parrot mimicked Papa’s voice. We could hear the sound of a broom scraping the ground in next-door’s yard, and the strains of a radio blaring somewhere in the neighbourhood. A brightly coloured agama lizard was sunbathing, while a column of ants transported the grains of sugar that Ana had spilt from the table. A morning just like any other. But this was also a day for making history. Across the country, people were getting ready to vote for the first time in their lives. From first light, they had begun making their way to the nearest polling station. A never-ending procession of women wearing colourful pagnes, and men carefully dressed in their Sunday best, was moving along the main road where minibuses full to bursting with euphoric voters paraded past. On the football pitch next to our house, people were flooding in from every direction. Voting tables and polling booths had been set up on the grass. Through the fencing, I watched the long queue of voters, calm and law-abiding, waiting in the sunshine. There were those in the crowd who couldn’t contain their joy. An old woman, dressed in a red wax print cotton skirt and a Jean-Paul II T-shirt, danced out of the polling booth singing: ‘Democracy! Democracy!’ A group of young people lifted her off the ground amidst cheers. The presence of whites and Asians, wearing multi-pocket utility vests with ‘International Observers’ written on the back, was visible in all four corners of the pitch. Burundians were conscious of the significance of this moment, of a new era beginning. This election would bring an end to the one-party system as well as military coups. Individuals were free at last to choose their representatives. By the day’s end, when the last voters had left, the pitch resembled a vast battlefield. The grass had been trampled underfoot. The ground was littered with discarded papers. Ana and I slipped under the fencing and crawled as far as the polling booths, where we gathered up the forgotten ballot papers for Frodebu, Uprona and the People’s Reconciliation Party (PRP). I wanted to keep a souvenir of such a memorable day. The following day felt strange. Nothing stirred. The city was anxiously awaiting the results. At home, the telephone didn’t stop ringing. Papa wouldn’t let me go out to see my friends. Our watchman had disappeared, the garden was empty and there were very few cars on the road. It was all such a contrast to the elation of the day before. During Papa’s siesta, I escaped through the back door. I wanted to speak to Armand who was bound to have some information, courtesy of his father. I knocked at the gates and asked the houseboy to call for him. When Armand appeared, he told me his father was pacing the house, smoking cigarillos and putting way more sugar than usual into his tea. Their telephone, like ours, kept ringing. He told me to go straight back home and not to hang about in the street, because nobody knew what might happen. There were worrying rumours going round. Shortly before nightfall, the three of us were sitting in the living room, Papa, Ana and me, when someone rang my father and told him to switch on the radio. It was dark, Ana was biting her nails and Papa was trying to tune into the right station. He found the frequency just as the Burundi National Radio and Television newscaster announced that the results were about to be declared. We heard the hissing of an old tape , followed by a brass band that accompanied a choir singing at the top of its voice: ‘Burundi Bwacu, Burundi Buhire…’ After the national anthem, the Minister of the Interior began to speak. He declared victory for Frodebu. Papa didn’t react. He just lit a cigarette. We ate an early supper. I had made an onion omelette, and Ana served us slices of pineapple with Clarisse Sisters strawberry yoghurts. Before going to bed, we watched the news in Papa’s bedroom. The image was fuzzy and it was snowing on the channel. I wiggled the coat-hanger-aerial above the TV set. Seated in front of the Burundian flag, the outgoing president, Major Pierre Buyoya, said in a measured voice: ‘I solemnly accept the verdict of the people and I invite the population to do likewise.’ I immediately thought of Innocent. Next, our new president, Melchior Ndadaye, appeared on the screen, and announced calmly: ‘This is a victory for all Burundians.’ At which point I thought of Prothé. Finally, the chief of staff spoke: ‘The army respects democracy based on the multi-party system.’ And that’s when I thought of Papa’s words on the telephone. I was in the middle of brushing my teeth when I heard Ana scream. 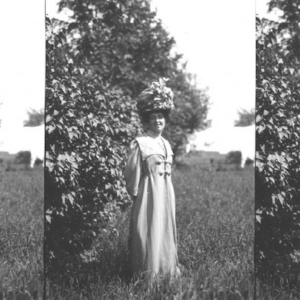 I rushed into our bedroom to find her standing on my bed, clinging to the curtains. Below her, on the tiled floor, a giant centipede was crawling along the middle of the room. ‘Piece of filth!’ Papa shouted, crushing the scolopendra. As I clambered into bed, I asked Papa whether having a new president was good news. “We’ll see,” came his reply. From Small Country. Used with permission of Hogarth. Copyright © 2018 by Gaël Faye.